If you’re an introvert, the idea of getting a second job may seem daunting. Or even if you’re looking for a full-time job, having too much social interaction can feel very overwhelming; we get it! 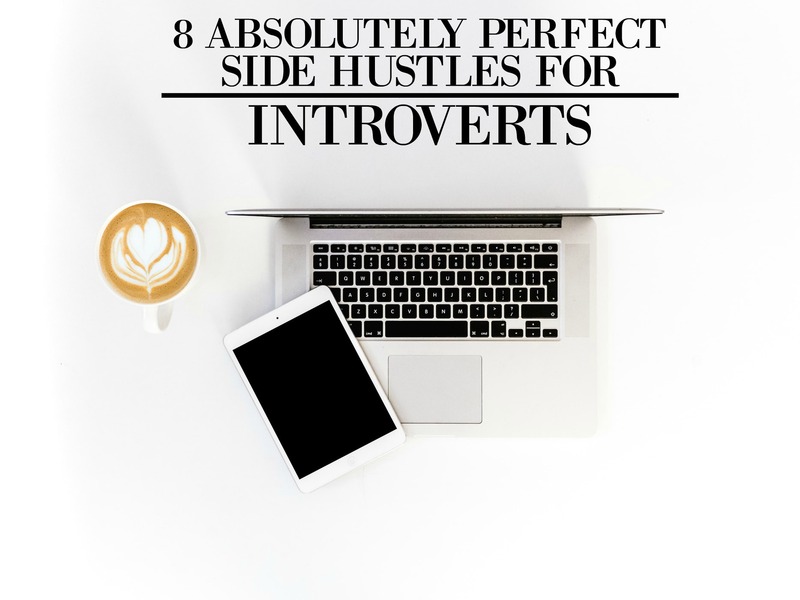 And that’s why we found some great work from home jobs just for introverts! So check them out and let us know what you think! Bloggers can make thousands of dollars a month through affiliate marketing, ads, and sponsorships (I would know! And you can check out how to start a blog here too!). It’s a fantastic way for introverts who have specific interests and hobbies to discuss and do further research about things they enjoy while sharing this information with audiences worldwide. Writing on sites like Fiverr and Upwork is a wonderful way for introverts to make some extra cash since they usually are better at expressing themselves through writing than speaking. Also it’s great for having the ability to do research and learn about the subjects you’re writing on. Introverts can make money by reading and writing book reviews which is perfect for all of the quiet time that introverts enjoy spending by themselves. These positions are ideal for introverts who are voracious readers. Instead of babysitting, try housesitting for neighbors or locals who are going out of town for a few days. Housesitting is a great side gig for introverts since they can take care of beautiful homes without having to talk to anyone at all. This can also be something that can even be turned into a full-time business. Since most introverts prefer to stay behind the scenes, working as a photographer is an excellent opportunity to make some cash on the side. There are even apps that allow photographers to sell their photos and make a profit. Introverts can be extremely detail oriented and being a proofreader requires pieces being read and reread which demands quiet, uninterrupted time. And as such, being a proofreader is a great choice for introverts who can read and quickly catch minor details and errors with ease. Serving as a bookkeeper requires little interaction with people, attention to detail, and a fancy for numbers. Bookkeepers are important because they need to keep track of all of the company’s numbers and enter all receipts and expenses into the system. There are quick courses to brush up or gain valuable bookkeeping experience if interested in doing this. Since picking up the phone can be daunting for most introverts, working with customers and providing assistance via chat can be a good choice. Introverts are often interested in problem solving and can therefore act as a great asset for customer service agencies. Having the right work from home job is an amazing way to stay recharged throughout the week. So try some of these ideas out and let us know what you think!